If you want to succeed in today's over saturated business environment, you need to have a story for your quilting business. Life Is Good – This clothing company, started by two brothers, espouses a philosophy stated by their company name, “Life Is Good.” Having expanded tremendously over the past decade, Life Is Good offers not only clothing, but books, pet goods, and other items that have really hit a nerve with people. L.L. Bean – Since 1912, L.L. Bean has been guaranteeing everything they sell, for as long as you own the product. You can bring back any product of theirs for any reason, and they will refund your money or give you credit, no questions asked. This is a powerful story about how much the company believes in everything they sell. The Body Shop – Even though founder Anita Roddick recently passed, The Body Shop carries on her five values for running the business; Protect the Planet, Support Community Trade, Against Animal Testing, Defend Human Rights, and Activate Self Esteem. Millions of women (and men) feel great about purchasing the naturally-inspired, ethically-produced beauty products. What all three of these businesses have in common is a great story – Life Is Good's message, L.L. Bean's ironclad guarantee, and The Body Shop's community consciousness. And, because their customers identify with the stories, they go back again and again, and they tell all of their friends and family about their love for these companies. You have the same opportunity to craft a story around your own quilting business, and if you want to survive and thrive, you need to come up with your unique story. It's no longer enough to just create great quilts or quilted products to sell. You need to stand out from the crowd AND be memorable above and beyond the initial transaction (whether it's a sale or just an exposure to your goods). Your story will drive all of your marketing decisions, and help you achieve the success you desire. Coming up with a compelling story for your quilting business doesn't have to be a chore. In fact, it can be kind of fun to brainstorm story ideas and get involved in the creative process. In fact, creativity is the reason you want to have a quilting business, isn't it? If you just wanted to make money, you could sell cars or work at Home Depot. List all of the core values you have about your quilting business. 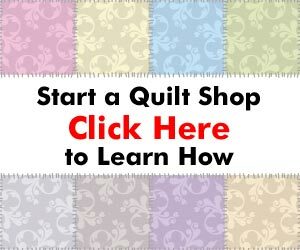 Are you a traditional quilter? Do you use unique styles or materials? Have any celebrities (local or national) used your products? What do you believe about customer service? Just link anything and everything you can think about your existing quilting business, or what you wish about a quilting business you're getting ready to start. Create a list of things about your favorite businesses that you think could be applied to your quilting business. What do you love about your favorite restaurant? Which companies stand out to you for their customer service? Who do you think of when you think of your favorite business? Put down anything unique, or if they have a good story, some ideas that you can use for your quilting business. Ask friends, family, and past customers (or people you have given quilts to) what is unique about your quilting business. Do they have a common theme? Does everyone have a different idea about what your business' story is (a warning sign)? Can you group their comments into a few main categories? Get input from those who know you best. Visit local stores and quilt shows to do some field research. What types of items sell best? Are there some common themes that run through the local offerings? What is the price range of the quilts that sell? Are there any low-priced items – quilted bags, clothing, mini-quilts – that sell well? Find out the conditions in your local market by keeping your eyes open. Digest all of your research and come up with a few different themes for your quilting business story. 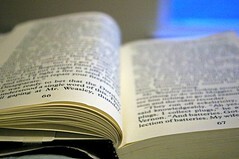 Based on everything you know, what would be a good story to tell about your business? Are there some themes that seem to “fit” you better than others? What would you like your story to be about? Narrow down your choices to two to five good story ideas. Present your story ideas to some trusted friends and associates. Which ones do they like? How well do the ideas resonate with your trusted advisors? What other ideas do they suggest based on your list? NOTE: Make sure these are people who will give you an honest opinion WITH some explanation – not just people who only want to tell you what they think you want to hear. Pick your story theme and start refining the story to fit your quilting business. As you can see, your quilting business story will help you define your business as unique in an over-crowded marketplace. When you have your story in place, you'll be able to command premium prices and customers will naturally tell their friends and family about your products, and the very unique quilting business. With your story in place, you'll be positioned for long-term success. Good ideas. I was doing some of this, but hadn’t thought to put the whole package together. These are great ideas. It is not something I had really thought of before, but plan to give it some thought now. We do need to “stand out” now, especially with how many businesses there are today. I think you can apply these ideas to any business, not only quilting.